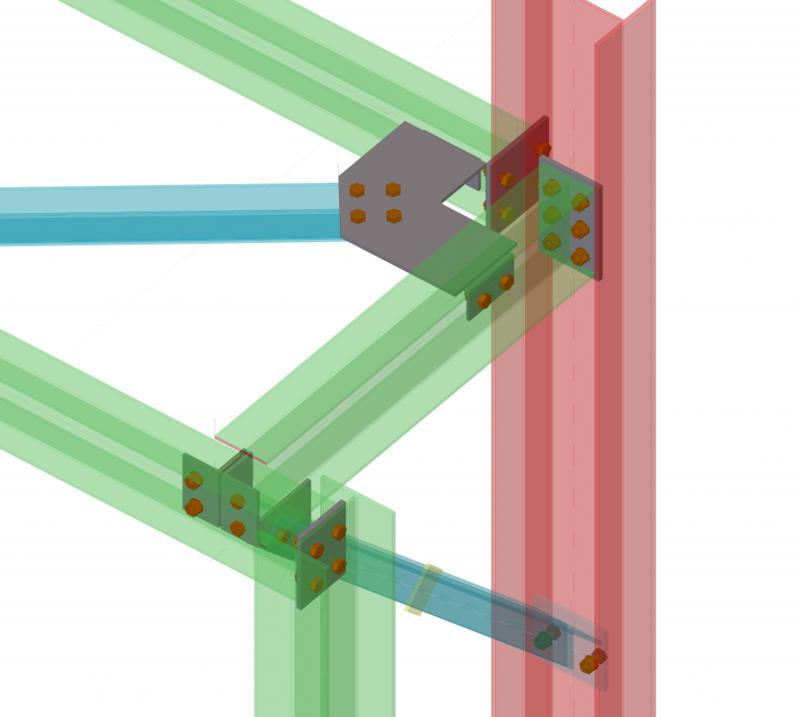 The Tekla structure software has created a global flurry in construction productivity. This software has been nothing less than successful in overcoming the challenges faced by engineers in the field. The introduction of materials like structural steel in construction has widened the scope of construction, making space for experimentation. This has risen a need for a software such as Tekla, that can keep up with new ideas. Engineers now have the liberty to think outside the box and create the extraordinary. Structural steel detailing done with this software reduces potential errors in the design, as it covers gaps that may make the construction weaker with relevant estimated costs. Modifications in the designs have now become much easier with the availability of such tools. With the utilization of Tekla’s model-sharing and multi-user options to the optimum, we gain the advantage to expedite the entire modeling and detailing process. Those who want to work on a structural design have no geographical restriction when they make use of model sharing. A basic model that has been uploaded to the cloud database can be accessed by anyone from any part of the world. Designers can download a basic model by creating a valid Tekla account. Once downloaded, additions or changes can be made based on the designer’s perspective. The use of internet in model sharing is only required when downloading and uploading the model progress back into the cloud. Model sharing is advantageous to those who are in the field/workshop and wish to access the real time model. The people in the field might come across many changes that need to be implemented in the design immediately, which can be accomplished with model sharing. Even though the multi-user tool has disadvantages of its own, such as the client/designers on field or the workshop, cannot access the original model, it still has several advantages up its sleeves. When working on a huge project, the biggest plus-point is that multiple individuals can simultaneously work and complete the project in a short time frame effortlessly, without worrying about internet connection or its speed. Further, it facilitates work division, allowing engineers to look at the same thing in different perspectives. It also eliminates the scope of duplication and caters to an efficient structure build-up while also catalyzing the process of design. Finally, the multi-user interface has the special benefit of each work progress being saved on the main model. Tekla model sharing interface and Tekla multi-user interface is neutrally effective and exceptionally useful tools of design and could be a desginer’s best friend if put to use according to the need of the structure at hand. With an informed decision, the choice can never go wrong. Both model sharing and multi-user software are always accurate, reliable and detailed created by experienced designers who know and understand the real complexities of large-scale steel structural designing.